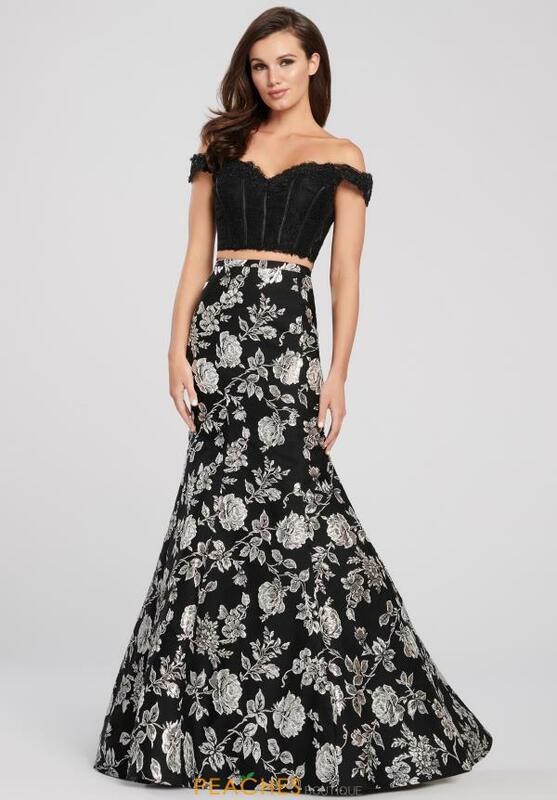 Be bold and rock this fashion forward prom dress EW119052 by Ellie Wilde to your senior prom. This vivid two piece ensemble showcases a off the shoulder cap sleeve crop top made in lace with beading and visible boning. The magnificent mermaid long skirt is made in a metallic floral brocade with a sweep train. See more amazing Ellie Wilde gowns at Peaches Boutique.